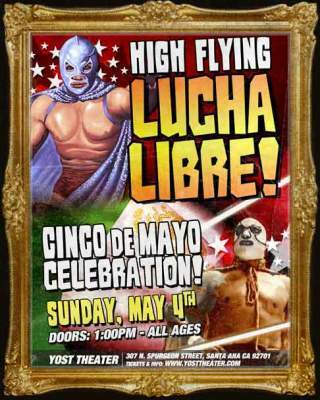 This Sunday afternoon, May 4, 2014, get ready for some Cinco De Mayo high flying action at the Yost Theater! All ages welcome. Doors open at 1pm.